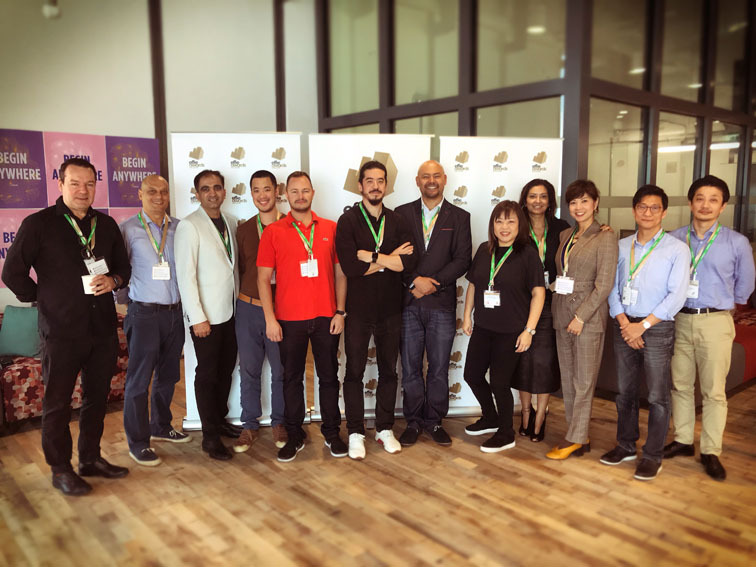 Andreas Krasser (pictured right) is Chief Strategy Officer at DDB Group Hong Kong and here he extends his 2019 APAC Effie Judging Diary. Year four of judging the APAC Effies – a lot has become routine by now: it all starts with realizing that you’ve started round one way too late, going into panic mode, and finally “pressuring” the organizers into giving you a few more days to complete the online judging. Next up, hopping on a plane to Singapore, checking into the hotel, room service, figuring out the light switches in the room (seriously, who needs eight light switches), and rising early to be on time for the jury briefing. The biggest difference to the previous years probably was the venue. For the first time, round 2 of judging took place at the new Facebook APAC HQ in Marina One. And wow…just wow! 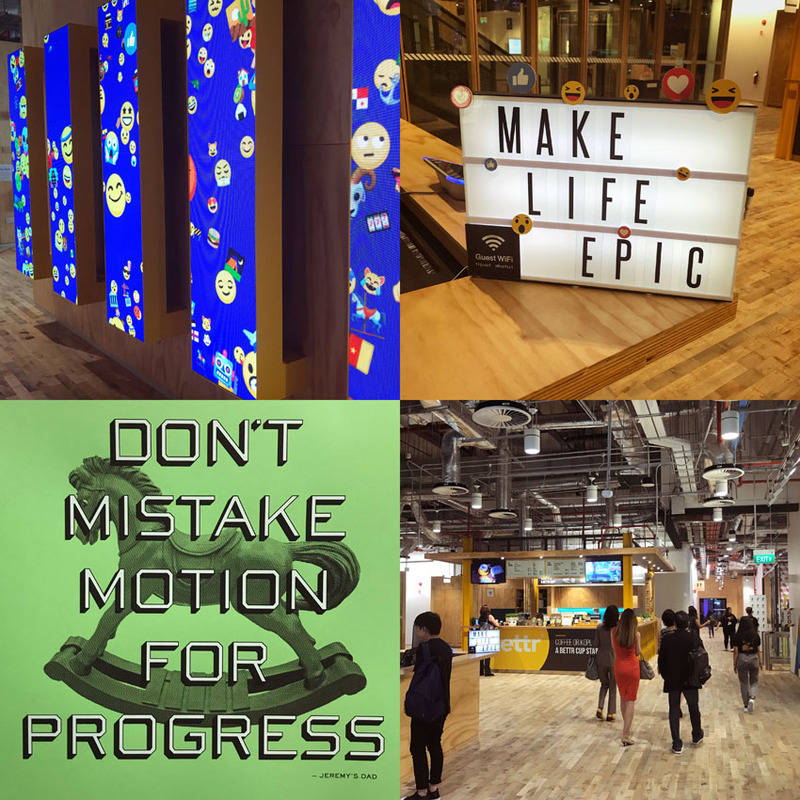 A huge open space spread over multiple floors, Emojis everywhere you look, interactive screens, (more or less) motivational quotes, an abundant choice of tasty (and most importantly complimentary) foods, snacks, and beverages…basically everything agencies and agency folks could dream of…hold on…I did not see a bar! The jury briefing by Judging Chairman Charles Cadell of McCann Worldwide carried pretty much the same key messages as last year: Don’t be blinded by beautiful language or well-crafted case videos, instead reward work that truly works. And also, in the jury rooms, make yourselves heard, discuss, and give feedback – that’s what will help to improve the work in the future. Over the next two days, I would judge categories I had not judged before: Automotive, Social Media Marketing, Seasonal Marketing, Beverages – Alcohol, and Beverages – Non-Alcohol. The run-down in the jury rooms, again, was something very familiar. Read the cases (on average slightly more than 20 each day), mark down preliminary scores, and then get down to business, i.e. dissect the results, investigate budgets, KPIs, benchmarks, and finally decide whether to award a metal or not. What was not so familiar, was the missing feeling of envy. Usually by lunch time of day one, I would have seen at least two cases where I would go: “<insert swear word>, why couldn’t I have thought of something like this?” Don’t get me wrong, the cases were still mostly super solid with strong results – however, none of them gave me goose bumps. Drinks – probably one too many (same same) – revealed that quite a few of my fellow judges felt the same way at the end of day one. As in my previous judging diaries, this seems to be the most appropriate time to thank the Confederation of Asian Advertising Agency Associations (CAAAA) and Tenasia Group for their generosity and excellent logistical arrangements. Day two logically started off with a looooot of coffee and a very familiar headache, which fortunately made way for a feeling of optimism, and soon even a little of that motivating envy. What really positively surprised me in the end, was that the two cases that finally managed to give me goose bumps did not come from the usual Effie strongholds Australia and India, but from Japan and Pakistan. If I get invited to judge the APAC Effies again, I’d obviously want the conversations to be as inspiring and stimulating as this and the previous years. I certainly would not mind the food, the drinks (maybe no headache next time), and the amazing views either. What I’d like to be different? Clearly, I would like to see more goose bumps cases – especially those from “underdog” nations. This could also help with elevating the quality of work overall, because from where I am sitting, the underdogs are currently clearly giving the “Effie Veterans” a run for their money.